Our Atlanta, GA Practice Has Widex Hearing Aids Make Your Appointment! Widex was founded in Denmark in 1956 and is now the sixth largest hearing aid manufacturer in the world. Widex is committed to developing digital technology which has led to advances such as the world’s first digital in-the-ear hearing aid and revolutionary wireless technology. Now with distributors in over 100 countries, Widex continues their commitment to high quality, innovative sound. All of Widex’s hearing solutions feature the Widex Sound, their trademark. The Widex Sound provides people with hearing loss access to a full spectrum of sound, enhancing soft sounds and making sure louder sounds are comfortable. The Widex Sound is also customizable to meet personal hearing needs, providing wearers with sound that is the most natural to them. EVOKE is now available as a rechargeable hearing aid, using ZPower technology. ZPower uses silver-zine batteries, the world’s highest energy rechargeable Microbattery, holding more power than any other battery of its size. 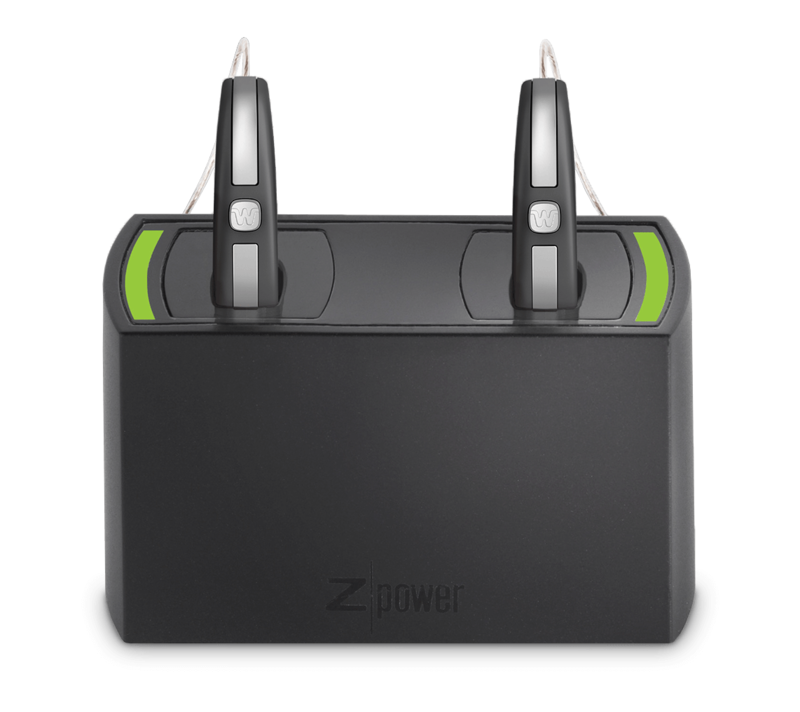 For people on the move, ZPower is an excellent option, taking only 3-4 hours to fully charge. If you should run out of juice with your ZPower batteries, you can swap out the rechargeable battery for a normal zinc-air battery while you wait. As Widex’s first Made for iPhone specific hearing aid, BEYOND combines personalized sound programs, advanced connectivity, and high-quality sound in one user-friendly device. BEYOND allows wearers to stream music, media, and phone calls from their iPhones (and Androids) directly to their hearing aids with a convenient and streamlined app. Through the BEYOND App, wearers experience a high level of personalization to ensure the best sound to meet their specific needs. With the option to choose from a catalog of listening preferences, wearers may adjust sound settings and program templates that combine the elements that assist their hearing in a variety of different environments. 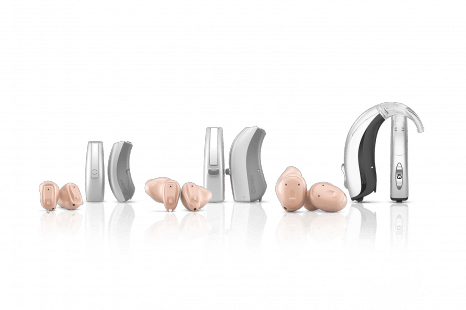 Wearers may adjust the v0lume on each hearing aid individually, customize clarity of speech and comfort, equalize high, mid, and low frequency bands, mix sounds from both hearing aids, and select directionality of microphones. Also, with connection to the BEYOND App, your hearing aids will always be up to date with the latest updates from Widex. The BEYOND App checks regularly for new software and wirelessly updates hearing aid software in a matter of minutes to provide the most sophisticated listening experience available. As with Widex’s other advanced hearing aids, BEYOND provides wearers with incredible features to ensure ease of listening in any environment. Features such as SMARTWIND Manager use a series of algorithms to analyze and balance noise annoyance that may interfere with speech understanding or the sounds you prefer to hear. At the same time, Soft Level Noise Reduction is a feature that enhances soft speech sounds to help wearers as they focus on the voices they wish to hear. And, what’s a Widex hearing aid without the trademark “Widex Sound”? BEYOND wearers will experience clear, crisp sound, even while streaming from the phone to the hearing aid. With all of these exciting features, BEYOND still manages to provide wearers with excellent battery life with PowerSaver Plus – allowing wearers to hear and stream for longer without the need to recharge or change batteries. Overall, BEYOND provides wearers with a familiar interface for easy navigation and functionality, and ensures connectivity with confidence. BEYOND is a behind-the-ear hearing aid that comes in a number of power levels to accommodate various degrees of hearing loss. UNIQUE offers wearers a wider sound picture, to hear both loud and soft sounds in comfort, a wind noise reduction system that enables speech recognition in the windiest environments, and automatic detection of the wearer’s listening situation to make sure you hear the right sound at the right time. UNIQUE hearing aids are available in the following styles: completely-in-canal micro, completely-in-canal, in-the-ear, receiver-in-canal, and behind-the-ear. The Widex DREAM gives wearers a true-to-life sound that is richer, more detailed, and well-rounded. The DREAM allows wearers to hear sounds without distortion, recognize speech in noisy situations, and listen to music with enhanced features. Speech perception with the Widex DREAM has been improved by 21% in loud noise, and with the new True-Input Technology, the DREAM offers wearers a wider range of sound. The DREAM is also 20% smaller than a conventional behind-the-ear hearing aid, with a 20% longer battery life. It is available in the following styles: completely-in-canal micro, completely-in-canal, in-the-ear, receiver-in-canal, and behind-the-ear. The Widex SUPER is designed for people with severe to profound hearing loss, and is worn as receiver-in-the-ear. With a long battery life and weather resistant coating, the SUPER can be worn in many different environments. The SUPER enhances speech recognition and conversation, especially in noisy environments, and provides a powerful, clear sound. Widex also offers a collection of assistive listening devices called DEX and SCOLA, as well as tinnitus therapy and the CROS hearing aid for single-sided deafness. DEX devices include personal amplifiers, connection with phones, and telecoils to deliver sound via electromagnetic waves through hearing loop systems. Similarly, the SCOLA FM system delivers amplified sound via FM radio waves and is designed for academic settings. Zen Therapy, the tinnitus relief system, plays soothing harmonic tones to counteract the ringing of the ears and amplifies sound to stimulate the ears and brain to prevent overcompensation. 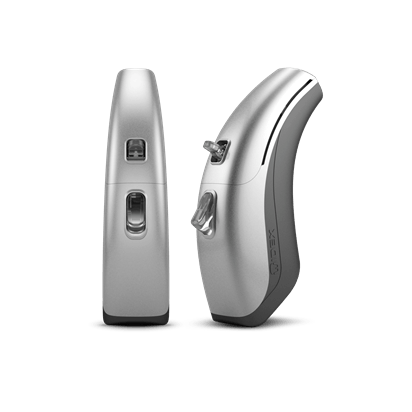 The CROS single-sided deafness hearing aid is worn in the behind-the-ear style and picks up sounds from the wearer’s surroundings to transmit between to the hearing ear, improving spatial awareness and speech recognition. For hearing aid maintenance, Widex offers an electronic drying system that uses UV to sanitize and dry hearing aids in 3 hours.